He is killing the game. When haters still talk about his result even nowadays, he just doesn't care and he shouldn't. Eurovision what?! And look at the number of countries whose Benjamin's fans love to listen to his music! "Dance You Off" is my most listened track of the year, I simply couldn't resist its catchiness and rhythm, such an earworm for me. Dance You Off is nominated for Swedish Grammy ( Grammis 2019) in the category "Best song of the year". Award ceremony is held in February, every year. Another well-produced and catchy bop coming from Sweden. Visuals were amazing and I really do like the song but the vocal performance was basically non-existent. I don't mind it being part of the Top 10 but oh well, it was ridiciously overrated by the "professional" juries. Btw. Benjamin was unfortunately only #81 at the belgian ESC Top250 Voting behind of this year. I love his positive spirit when he expresses his opinion about jury and public vote. He is always cool like that and very kind soul to his fans. 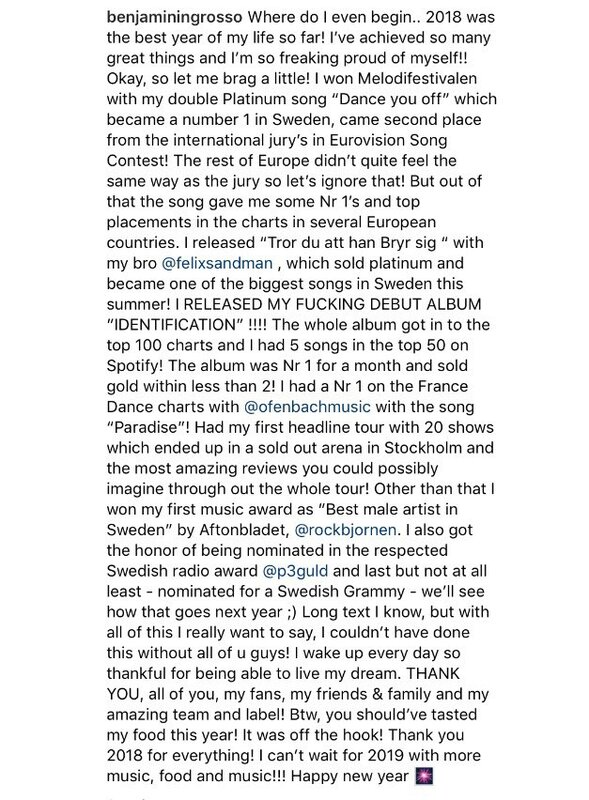 "Identification" was #45 in the Swedish End of the year Albumcharts 2018. 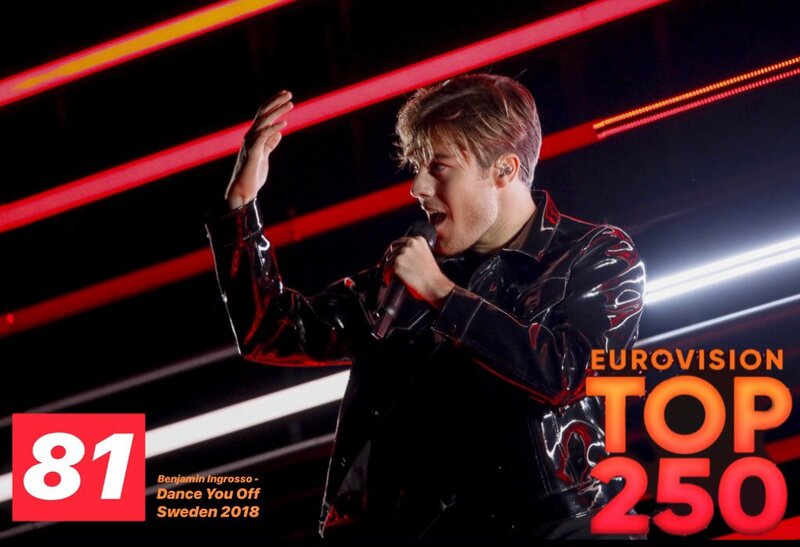 "Dance you off" was #35 in the Swedish End of the year Singlecharts 2018 and "Tror Du Att Han Bryr Sig" #87.